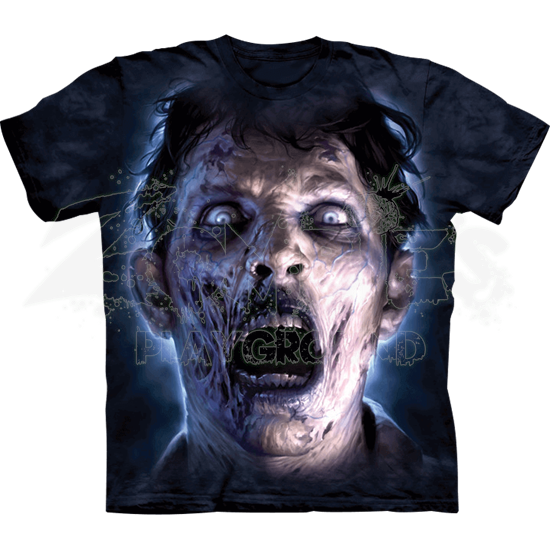 A spectacular addition to the wardrobe of anyone who is enthralled by the living dead, the Moonlit Zombie T-Shirt displays a magnificent graphic of the face of a blood-thirsty zombie whose flesh has partially deteriorated. In this image, the zombie has his mouth opened wide in a slack-jawed manner, displaying his absence of cognitive capacity. His pupils are a pale blue, which nearly blend into the whites of his eyes. Skinless gaps on his cheeks and forehead magnify his decomposed appearance and are further enhanced by the presence of thin blue veins that decorate the surface of his remaining skin. The scene behind this zombie is dark, with a beam of light at its center illuminating the outline of his head. This shirt is supremely comfortable, made entirely from cotton. 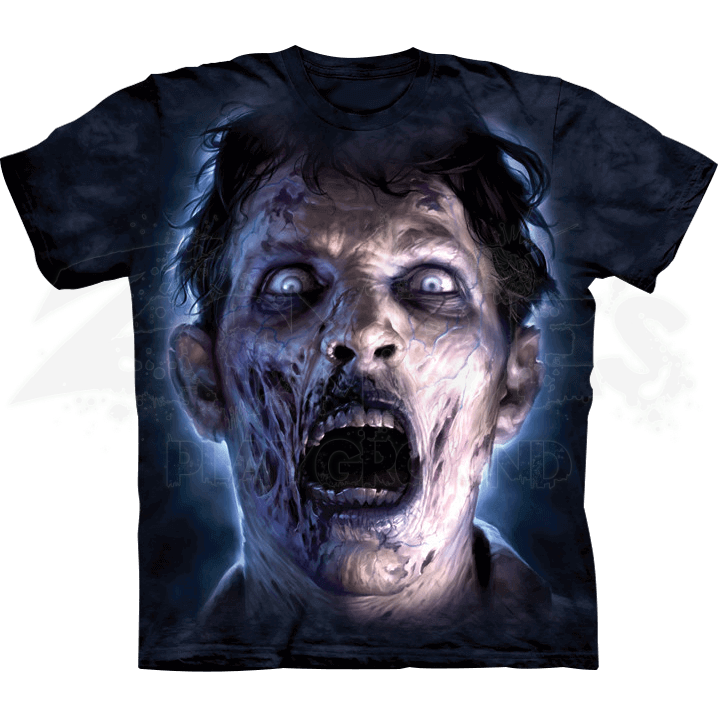 Display your enjoyment of the undead genre by wearing the Moonlit Zombie T-Shirt.